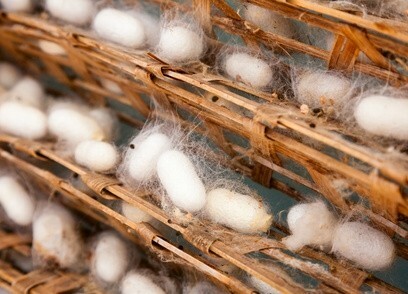 Silk is a natural fiber from animal, it is produced by the caterpillar (the bombyx) of the mulberry. Discovered by a Chinese princess between 3000 and 2000 BC, today, it is one of the noblest materials, its natural brilliance, extreme softness and lightness are all qualities that make it unique. Oeko-Tex : non-toxic dye: neither for the environment nor for you. Maintenance tip : silk can be washed by hand, in cold water with a special silk product. If you are in doubt, it is best to dry-clean your scarf. 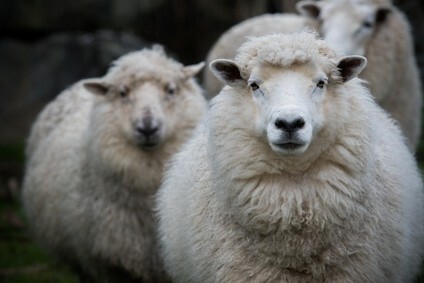 Merino wool is a natural fiber from the long and fine hairs of the merino sheep. This species from North Africa has a dense and homogeneous fleece with very high quality. Soft and supple, it offers incomparable comfort on the skin: it does not scratch like a classic wool. 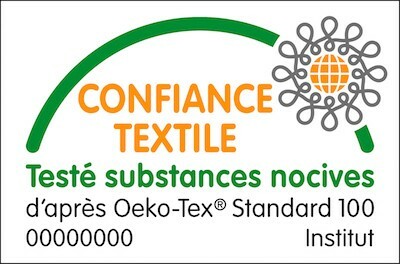 Oeko-Tex : certified non-toxic dye neither for the environment nor for you. Maintenance tip : merino wool is washable by hand in cold water (raise the temperature gradually). Be careful, however, because it fears mites and bleach, and bad ironing can permanently damage it, so do not put your iron too hot and iron without pressing, for safety you can insert a cloth between your scarf and iron. You can vaporize the scarf with vapor, the merino wool will swell and get back its texture. If you are in doubt, dry cleaning is recommended. Egyptian cotton is a plant-based material from silky duvet that surround the cotton seed. 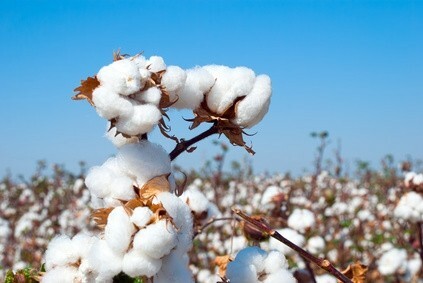 The Egyptians know the cotton since several millennia before our era, that’s why their expertise is an undeniable asset. Cotton is a fiber that has many advantages: resistance, softness, fineness and easy maintenance. Cashmere is one of the most prestigious materials that exists. 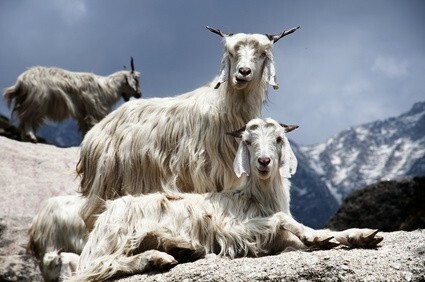 It comes from goat down in the cashmere region (between the Himalayas and Mongolia). Finer than merino wool, cashmere is the softest material in the world, it is light, silky, shiny, mellow and warm. A goat produces 200g of cashmere a year, that’s why this material is rare and expensive. La Fabrique d’Echarpe has the privilege of working on this exceptional material. From a small artisanal farm, the cashmere that we use is of high quality and has many labels. Maintenance tip : for cashmere we recommend dry cleaning to preserve all the properties. Linen is a natural plant fiber. 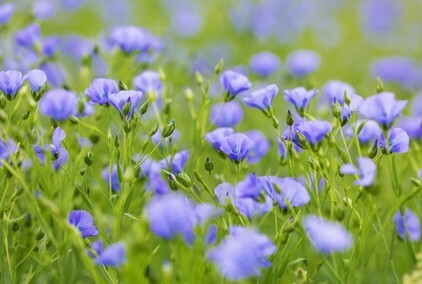 The plant with blue blossoms reaches approximately 1m. It is a very old textile fiber, the first traces of linen go back to 10 000 BC on Asia Majeure plateaus. Much appreciated during summer linen scarves are very light and very fresh. La Fabrique d'Echarpe uses a very fine linen for its summer collections. Selected for its softness and slightly flamed appearance, the raw material that we use has Oeko-Tex certification. 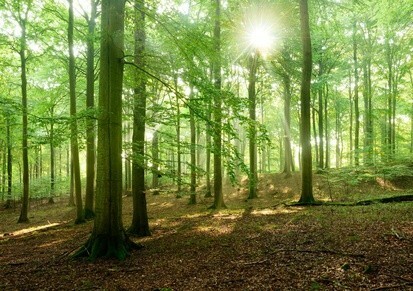 Modal is a textile fiber obtained by spinning wood cellulose (usually beech). Modal is very flexible, very soft and remain the same after several washing cycles. Discover all of our products by clicking here.